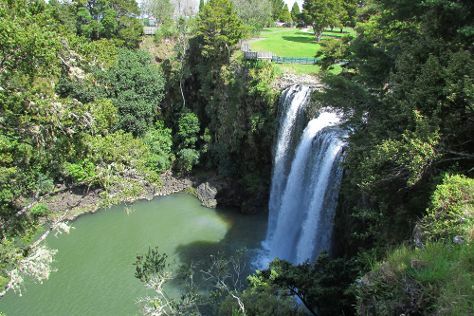 Whangarei is the northernmost city in New Zealand and the regional capital of Northland Region. It is part of the Whangarei District, a local body created in 1989 to administer both the city proper and its hinterland from the former Whangarei City, Whangarei County and Hikurangi Town councils. The city population was estimated to be up from 47,000 in 2001. The wider Whangarei area had an estimated population of 85,900 in 2015.The Whangarei urban area is spread throughout the valleys of the surrounding area and has several suburbs: Kamo, Springs Flat, Tikipunga, Three Mile Bush, Otangarei, Mairtown, Regent, Kensington, and Whau Valley lie to the north of the city. South and west of the city centre are Morningside, Raumanga, Maunu, Horahora, Woodhill, and the Avenues, and to the east are Riverside, Sherwood Rise, Onerahi, and Parihaka.HistoryThe Māori iwi Ngāpuhi occupied Whangarei from the early 19th century, and the Te Parawhau hapū lived at the head of the harbour. Captain James Cook and the crew of the Endeavour were the first Europeans to contemplate the Whangarei Harbour entrance. On 15 November 1769 they caught about one hundred fish there which they classified as "bream" (probably snapper) prompting Cook to name the area Bream Bay. Whangarei is in Northland Region. Customize your holiday with our New Zealand online travel route planner to create an adventure that suits you.